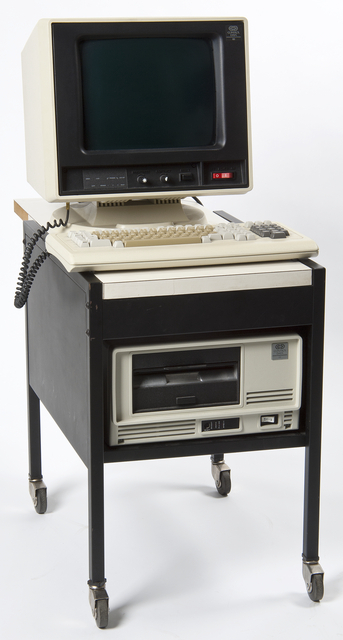 PLATO computer terminal made by Control Data Corporation, 1980. This was a "dumb" terminal, capable only of doing tasks that were in disk--no networking. Monitor has a touch screen, controls below the screen, and sits on round base that is adjustable. See it in Collections Online.